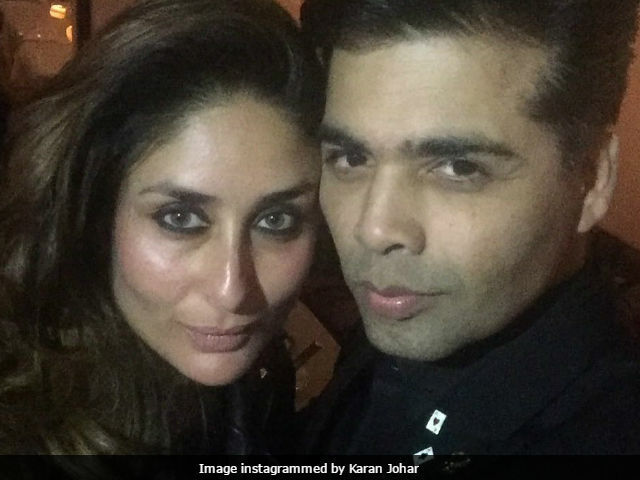 Is This Why Kareena Kapoor Khan Skipped Karan Johar's Birthday Bash? Majority of Bollywood celebrities turned up to celebrate filmmaker Karan Johar's birthday last week, except for one of his close friends - actress Kareena Kapoor Khan. A mid-day report says that Kareena skipped the mega birthday bash because the Jab We Met actress was "feeling unwell after a strenuous workout session that day and was put on medication." After Amrita Arora, who is Kareena's gym buddy, instagrammed videos from their workout session, we know that Kareena is indeed putting in a lot of effort to lose the post-pregnancy weight before she starts filming Veere Di Wedding. Kareena Kapoor, 36, welcomed Taimur, her son with husband Saif Ali Khan, in December last year. Kareena missed KJo's birthday party but she did visit her Kabhi Khushi Kabhie Gham director a few days later. 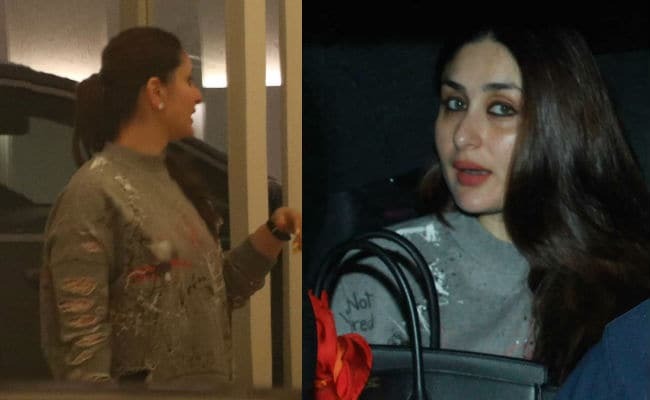 Kareena Kapoor, dressed in a Zara top, was photographed at Karan Johar's Mumbai residence snubbing reports which claimed that Kareena missed KJo's party due to some personal differences. Kareena was accompanied by her sister Karisma Kapoor and friends Malaika Arora and Maheep Kapoor. Here are pictures from Kareena's late night visit. 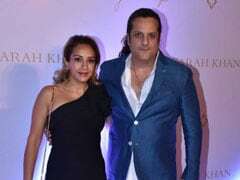 In fact, Sara Ali Khan, who is Kareena's step-daughter, attended Karan's party with many other celebs. Saif Ali Khan was married to Amrita Singh with whom he has two children - Sara and Ibrahim. In 2016, Kareena worked in two films - R Balki's Ki And Ka opposite Arjun Kapoor and Abhishek Chaubey's Udta Punjab. Her next film, Veerey Di Wedding, also stars Sonam Kapoor and Swara Bhaskar.